The second season of Supergirl is currently undergoing principal photography, and for over a week, we got a glimpse at photos found from the show’s set. Most recently, we had an influx of photos featuring Tyler Hoechlin’s Clark Kent/Superman, which led to plenty of discussion and of course, internet memes throughout the internet. I must say, I thought he looked pretty great on those set photos. Now, thanks to the magic of social media, more photos have emerged from the show’s set. What these photos hint at is a scene depicted at Metropolis. As you can see from these two pictures, these are specially marked vehicles showcasing the famous home of Clark Kent. For a peek, you can check them out below. Also, another photo from the set features another signature element of the Superman mythos. These photos have signs featuring this show’s edition of the LuthorCorp. logo. This is interesting since Lex Luthor’s sister is headed for National City in the upcoming season. Below, you can check out a glimpse at those elements. Lastly, a couple more images were found from the production, showcasing both Melissa Benoist’s Kara Danvers and Tyler Hoechlin’s Clark Kent. In particular, you get a glimpse at Hoechlin’s Superman as well as the ever-so iconic shirt-ripping from Hoechlin’s part. I can’t wait to see this onscreen. What do you guys think of these brand new set photos? 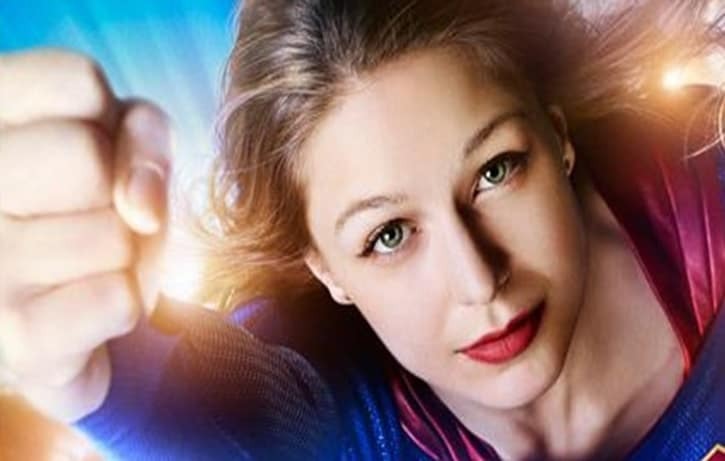 Are you excited to see what season 2 of Supergirl is going to bring? I am very excited to see how it plays in more into the rest of The CW shows in this Greg Berlanti-verse.